Add a sophisticated pop of color and pattern to any indoor or outdoor area with the Diaz rug. 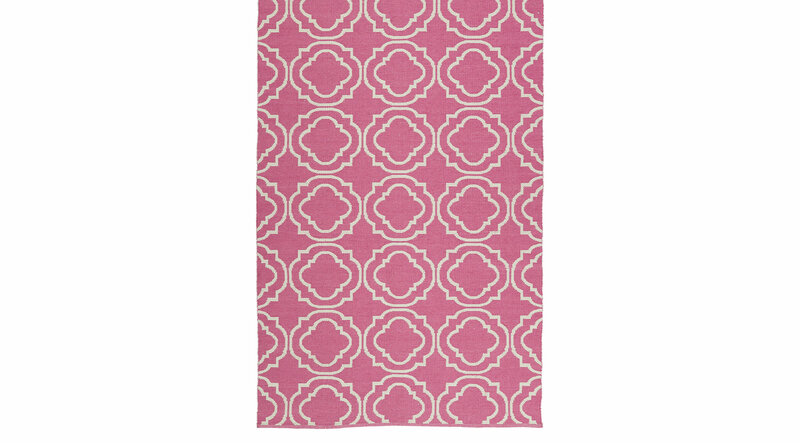 The bright pink motif is reversible due to an innovative weaving technique which offers endless ways to incorporate this unique rug into your home. Handmade in India with 100% Polyester. Spot clean as needed. For deeper cleaning, contact your local rug cleaning professional.